[Solved] Can't Rip DVD with MPEG Streamclip on Windows (10)/Mac? How to Fix? Follow the tips to fix can't rip DVD with MPEG Streamclip on Windows (10)/Mac error. MPEG Streamclip primarily works as a video converter for exporting most video format to QuickTime, AVI, DV and MPEG-4 with great quality. On the other hand, it is a piece of versatile multimedia software which can also play, edit, download online videos and even transcode DVD movies to many formats. 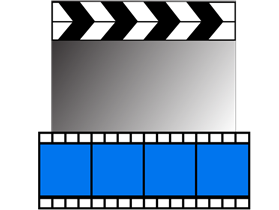 Despite of no longer development since August 2012, MPEG Streamclip is still widely used at present. Meanwhile, some common problems are asked for solutions. Here, we will focus on "can't rip DVD with MPEG Streamclip" error, listing causes and solutions for fixing this problem. And, the best MPEG Streamclip alternative will be recommended driving you to rip any DVD efficiently. Wanna Rip Any DVD Trouble-free? Try this best MPEG Streamclip alternative. WinX DVD Ripper Platinum - Fast rip home-made and copy-protected DVDs to MP4, AVI, WMV, MOV, FLV, iPhone, iPad, Android etc, while keeping possible highest quality. It is also available to copy DVD to IOS image, VIDDEO_TS folder, MPEG2 file at 1:1 ratio for a better storage of DVD contents. - Can't even get started with MPEG Streamclip! I'm trying to rip a DVD. I select "File", then "Open DVD". In the "Devices" area, I select the DVD. It asks "Please choose which DVD movie you want to open" and gives a drop down list - I choose number one. Each and every time, no matter which number I select, it replies with "File open error: the file is too short". - I'm trying to convert a video from DVD to .mpg. I was going to use MPEG Streamclip, but I can't get it to open the DVD or VIDEO_TS file properly. It appears to be open (shows file name at top and slider bar, which moves when I hit play) but I get no image or sound. As above posts mentioned, it is common to get a "can't open/find DVD" error message or sometime to output a file which cannot be played correctly when using MPEG Streamclip to rip a DVD. Why do those problems appear? How to fix them? DVD video (VOB) is based on MPEG program stream which can contain MPEG 2 video and audio. In order to open, edit or convert .vob file, MPEG2 codec is necessary. • Download Apple QuickTime 7 on your computer as well as install MPEG-2 playback component (priced at $19.99). • Otherwise, choose the free KL QuickTime Alternative which includes MPEG-2 decoding so that you don't need to buy MPEG-2 playback component for fixing MPEG Streamclip can't rip DVD problem. It is recommended to download QuickTime Alternative 1.8.1 instead of the latest version which is not compatible with MPEG Streamclip. Cause 2. DVD is Commercially Copy-protected. MPEG Streamclip has no ability to bypass copy protections of commercial DVDs. If you can't rip DVD with MPEG Streamclip, please check if your DVD is encrypted at first. Use a DVD decrypter to remove copy protection and then rip DVD with MPEG Streamclip. Better Way for Fix "Can't Rip DVD with MPEG Streamclip"? Get an Alternative! MPEG Streamclip can well handle general DVD with QuickTime MPEG2 encoder but cannot rip copy-protected DVD properly even the encrypted has been removed, for example audio out of sync or no sound of output file. What's more, MPEG Streamclip can only support Windows XP/Vista/7 and Mac OS X 10.2 (Jaguar) to 10.8.5 (Mountain Lion) without latest new systems, like Windows 10 and macOS Sierra. If you try to rip any DVD on any systems with no trouble at all, we suggest you to get a MPEG Streamclip alternative. Notice: This software only advocates ripping DVD with best DVD Decrypter alternative for personal use and suggests referring to the DVD copyright laws in your own countries before doing so.